Welcome back for Day 15, if you are just arriving for the first time all the details and the linkup can found HERE. Today I have Neat & Tangled and some of their Design Team joining me as my guests. 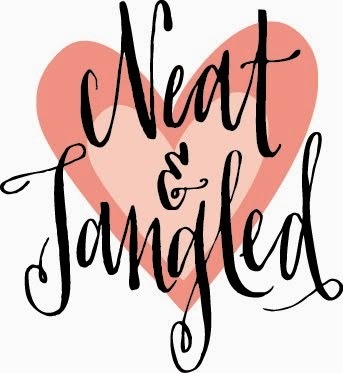 Neat & Tangled is both a guest and a sponsor offering one lucky winner a $25 gift certificate. Comment whether or not you have you created any Christmas tags since this event has begun? Lovely tags that all seem to have a modern, fresh twist to them. It will be difficult to choose which to CASE this time around! And yes... I have made some Christmas tags. More to make yet though!!! Your gingerbread couple tag is adorable; the N&T DT tags, wonderful. 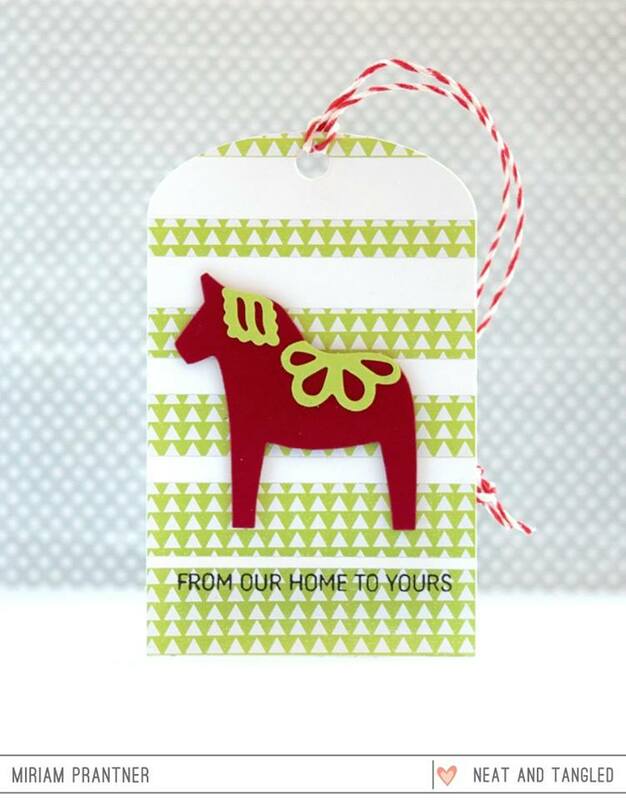 It's because of YOUR hop that I am making Christmas tags! Such fun! Unfortunately, I have not created any tags yet for this event but it is on the agenda for this week and weekend....I hope to link up several including one with some Neat and Tangled stamps. I haven't started making tags yet. I hope I will be able to start on the weekend. Love the tags, such happy soft colors. I started on a tag card but that is it thus far. Still finishing Christmas cards! I've only created a couple of tags, but I intend to create more! Life has just gotten in the way lately. Seeing all the inspiration every day is definitely helping to keep my crafting mojo alive! The outlined Santa with no coloring is great. I never seem to use that technique but need to change that. 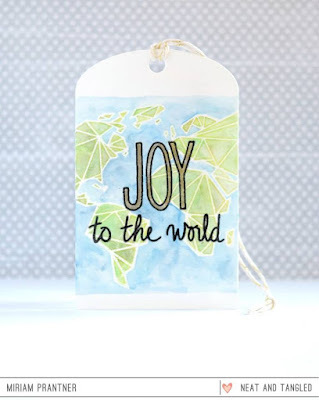 Wonderful tags - so many fun ideas. I did create some tags. I was asked to demonstrate how to make a tag someone saw on a website. I made up the kits, made a couple samples, and will use this same idea for my Stampin' Night/Day classes. Awesome tags today! Yay for Neat & Tangled! I love your fun gingerbread tag! Perfect tag for attaching to my homemade cookies gifts! 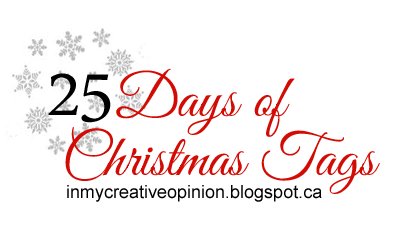 I have not started making tags yet, but I am storing up ideas from your 25 Days! Oh my goodness! Too cute! I haven't yet but will be soon! WOW! These are ALL awesome!! Love! Beautiful tags, love all of them! Life has been winning by a long shot recently (I need to go go exile island LOL) so I haven't been able to participate yet, but you are on my radar - promise!! I have been so inspired. I made two tags Thursday before going out of town and i can't wait to get back to my craft room. Love the variety today--Danielle's is so gorgeous & Miriams's second one gives me an idea of something to do with a new set I haven't yet opened! Thanks for all the inspiration! Beautiful tags today! They are all so darling! I have made about 5 tags since the event began, and I have been truly inspired by some of my favorites from the 25 days of Christmas Tags! Your little gingerbread kids are so cute, Tracey! I love white on Kraft and the pop of red is perfect! Really adorable tag! Not yet. I still have some Christmas cards to finish. But tags are next. The tags are delightful. Lovely tags! I am getting so many good ideas from them. 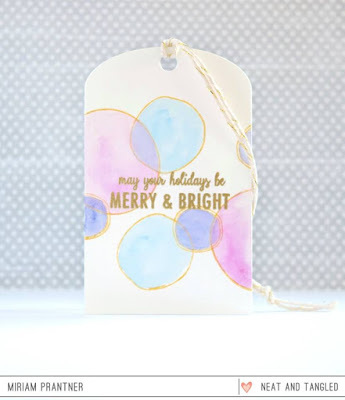 No not yet working on holiday style online card class than will start making some tags. Fabulous tags! I really love the Joy to the world one! Yes, I have made about a dozen tags so far! all of these tags are amazing..so many awesome and clever designed tags.. thanks for sharing. Awesome line up of tags today!! Your little gingerbread peeps are too cute!! Yep, I've made tags, they're on of my favorite things to create. Love the tiny canvas to work on!! Wow wow wow! These are all gorgeous!!!!!!!!!!!!!! 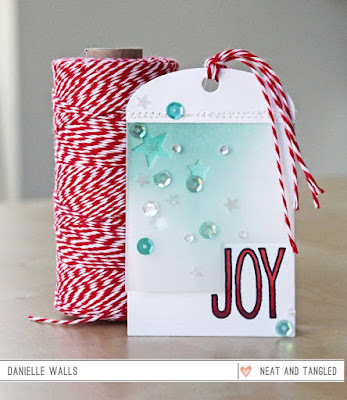 Once I found my way to your Christmas Tags series, I started making tags. I've got 40 so far!! Thanks for so much inspiration. Some more great inspiration here! Lots of twine! I had just made 30 tags before your series started so haven't made anymore yet! 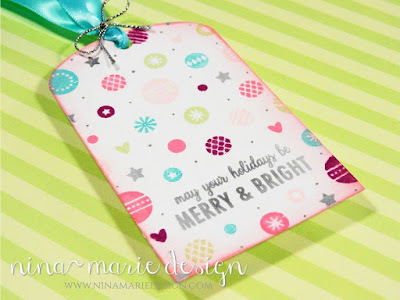 What wonderful tags by N&T design team. Yes because I remember your same series last year and I was eager to participate...made about 5-7 so far! Beautiful tags! 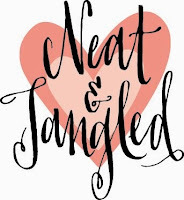 Love Neat and Tangled. I haven't made any tags yet but I plan to start very soon. 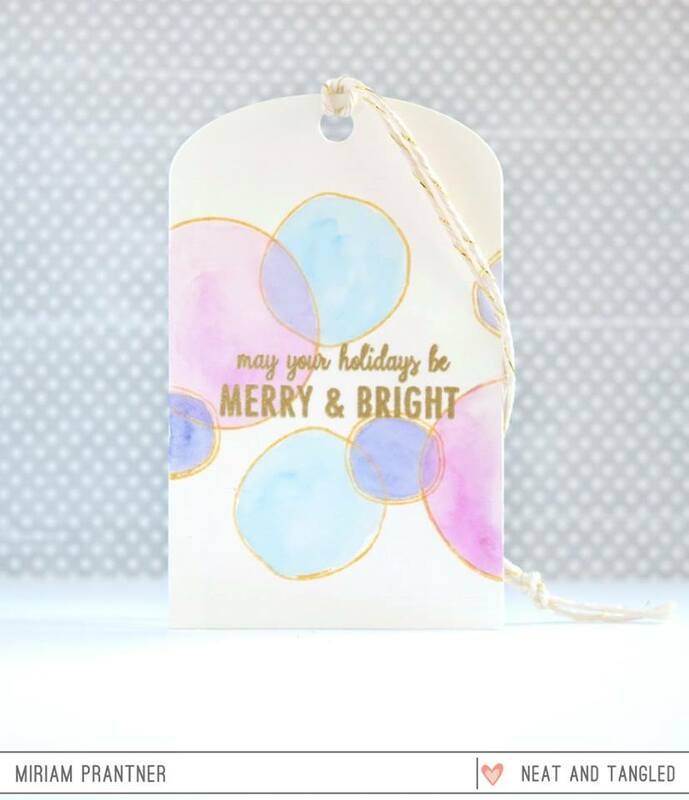 I've made Thanksgiving tags, but no Christmas tags yet. Brilliant group of tags Tracey, so many ideas to inspire. 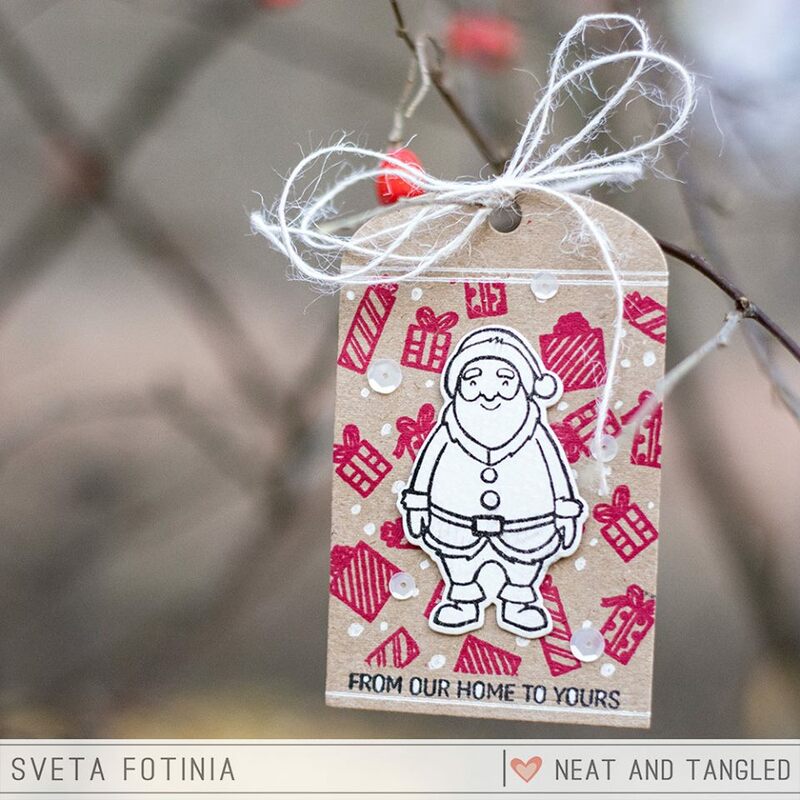 Yes I have started making tags, my first Christmas tags ever. WOW - what a WONDERFUL collection of FUN, FABULOUS, BEAUTIFUL and ELEGANT tags today!!! I am SO INSPIRED by ALL the tags shared each day and I am LEARNING SO MUCH as I hop through everyone's blogs - THANK YOU EVERYONE!!! ... 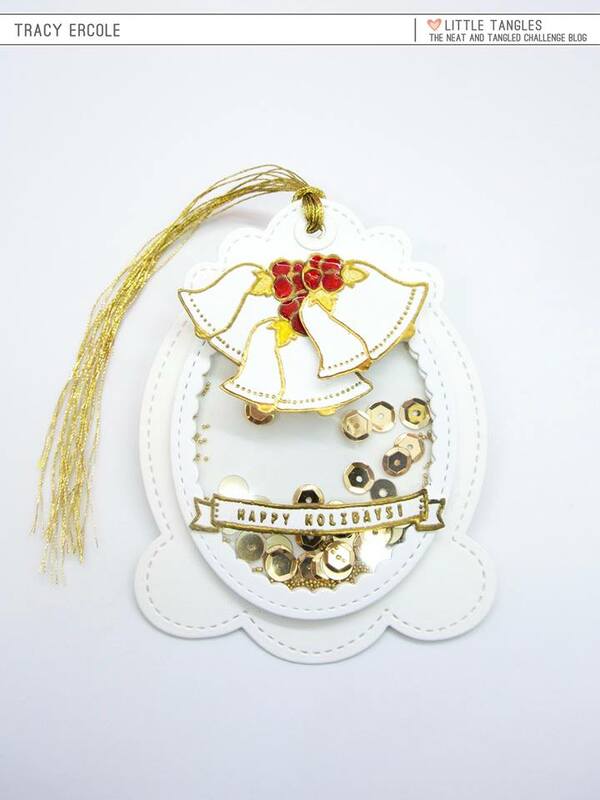 I have to confess that I am STRUGGLING - I have SO MANY ideas swimming around in my head it is difficult to sit down to transform them into reality - I have started though, I have cut a bundle of sparkling die cuts, now comes the challenge of deciding the designs and putting them together!!! Beautiful inspiration :) I love the gingerbread couple on green tag, so adorable!! I created two for myself which were more elaborate, and I posted one already on the main blog post. But, I also created six sets of 12 tags to sell! Not sure if they will because this is the first time I am trying to sell tags! I sell a few cards every couple weeks at my friend's hair salon. I don't do it for the money, I just do it because I have so many cards!! However, I did make the tags with the sole purpose of selling them. I can buy more stamps, dies, and inks!! Thanks for your blog post every day and all of the creative designs. They are inspirational! I have to admit that I haven't created any tags since this event started. Life as a homeschool mom of three just doesn't give me lots of time for spur of the moment projects, AND I've been feeling icky. I'm sure one of them gave it to me. Why can't kids cover their mouths when they sneeze?! Anyway, I wouldn't trade my job for anything, but the lack of flexibility has put at least one of my ideas on the back burner for now. I haven't given up on it completely, though ;). Until then, we've got plenty of amazing inspiration coming from here! TFS! Love the tags for today. YES!! I have created tags since your event started. You have inspired me and I have linked them up. Oh I LOVE Neat and Tangled!!! The tags from the team are gorgeous and cute! That embroidery hoop tag is my most favorite :D Thank you so much for the inspirations today! I love all of these tags. I haven't created any Christmas tags since this has started but I have made over 3 dozen all occasion tags in the past 2 weeks. I create Christmas cards and tags all year just so that I have them and don't have to hurry at the last minute. Today's creations caught my eyes! All are so lovable and adorable! Yes, i have just started making tags! Yes! You've really inspired me to make tags! I'll be posting another one today! Your little couple is so much fun, I love the sentiment! The beauty and talent never ends, so many wonderful tags. I haven't made any tags since the event began, I will probably wait till the last minute and be going crazy with my craft supplies. Thanks! 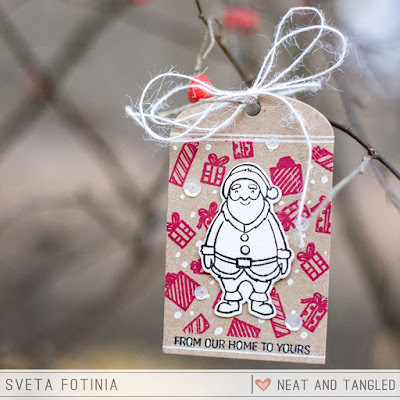 Great tags from Neat and Tangled's stamps. I have not made any tags yet but will be soon. Maybe over the Thanksgiving holiday. 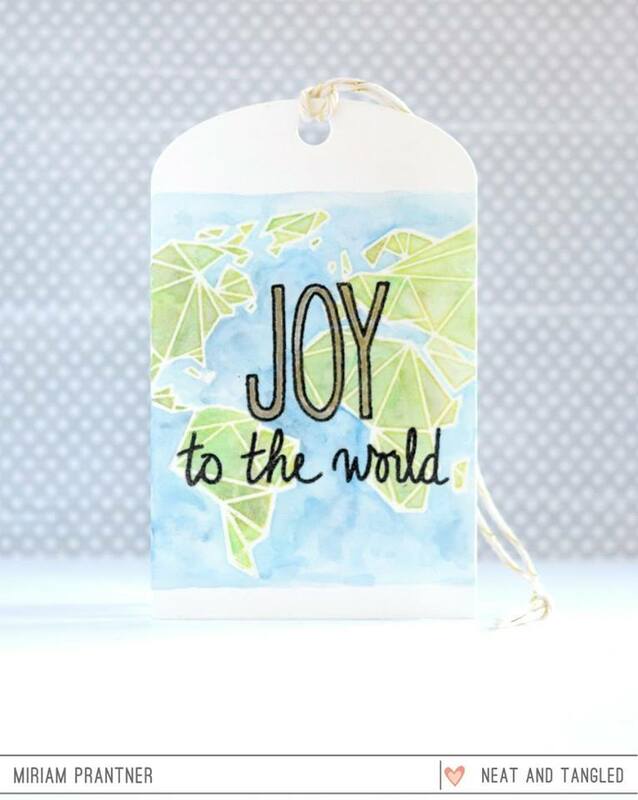 The inspiration is fabulous & yes, I've been making tags since the 25DOCT began. Yes!! I've made one so far, but not shared yet. Will share it his weekend. Beautiful tags today. Yes, thanks to all this inspiration, I have made quite a few tags all ready. Loving these daily ideas. The tags are all adorable! I have not made any tags. Very sad! Fun tags! 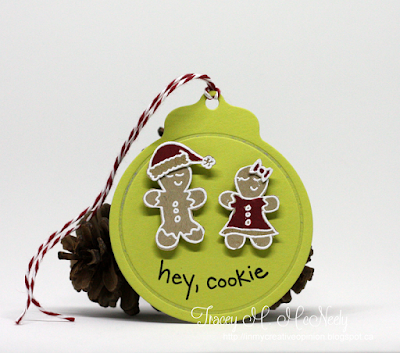 I love the green on your cookie tag! looks very delish! Great sponsor and beautiful tags! I love to look at each one! 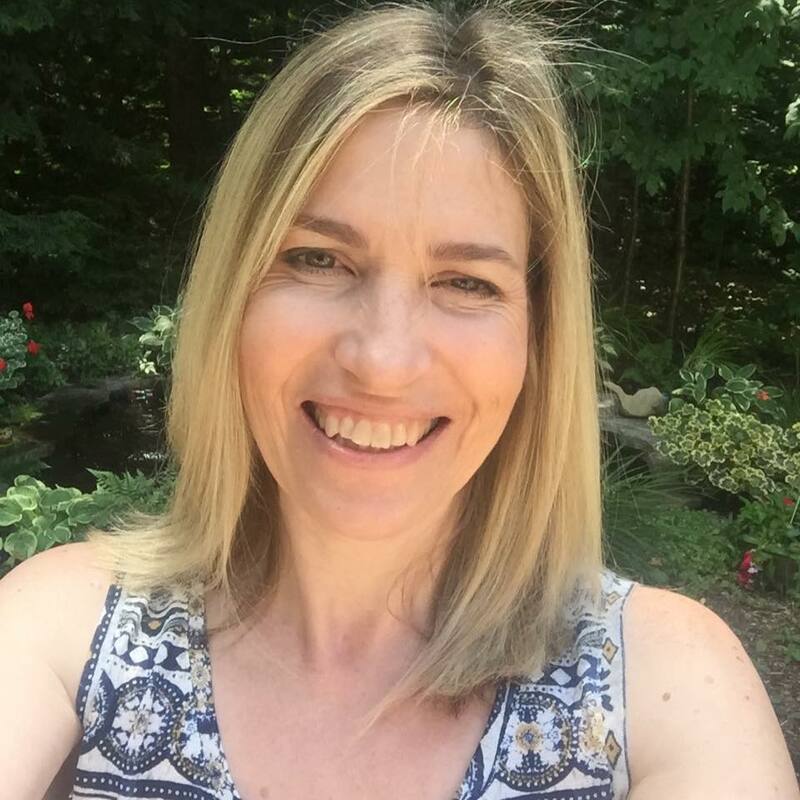 Yes, I have created 3 tags, all inspired by your event! My head is spinning, truly, by the creative variety of tags so far. This series is amazing, if a bit overwhelming. So much goodness!!! Oh yes I have... I'm planning on making all 25with you this year... fingers crossed! Such wonderful tags today! I have made and entered a couple of tags into this challenge. It's been so inspirational and fun! I just wish I had more time to create and play along. More wonderful tags ... I've made a couple of tags. I love the variety in styles today! I have not made any tags since your 25 days started but I did make a bunch back in Sept when I had more time. I'm loving all this inspiration and hopefully I will have some time to make a few more soon! 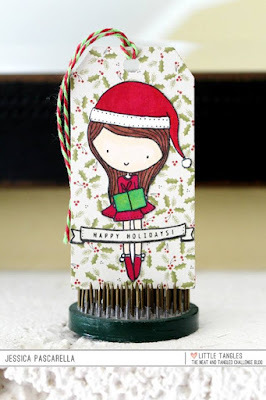 I have made a tag recently but it was not a holiday themed tag. I still haven't made any tags since this event began, but I have a few ideas and there's a few tags today that really inspire me. Beautiful tags. I am working on some today! I made some for the first day and made some other simpler ones later. Laughing... yes, I've made a few (cough cough). Loving the tags today! So many wonderful ideas! I was actually busy making Christmas cards for the Caring Hearts Drive, so I haven't made any tags yet, but boy are the wheels turning for once I get started!